harder and harder for many to determine where they should focus their resources. opportunities for highly targeted and effective campaigns. 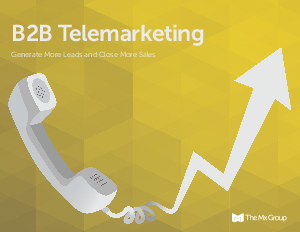 that has successfully generated leads and closed sales for decades: telemarketing. your bottom line and revenue that goes out the door. B2B world, a field built around relationships and tightly targeted audiences.